For years, the Mac mini has been the black sheep of Apple’s computer lineup. It’s not the preferred workstation of graphic designers or video editors. That’s the iMac. And it’s never been the versatile product of choice for the coder class, the modern office worker, or the well-off college student. That’s the MacBook line. But the Mac mini has always had a special place in the hearts of Apple fans. But that’s precisely what makes evaluating the newest iteration of Apple’s smallest desktop computer so difficult. 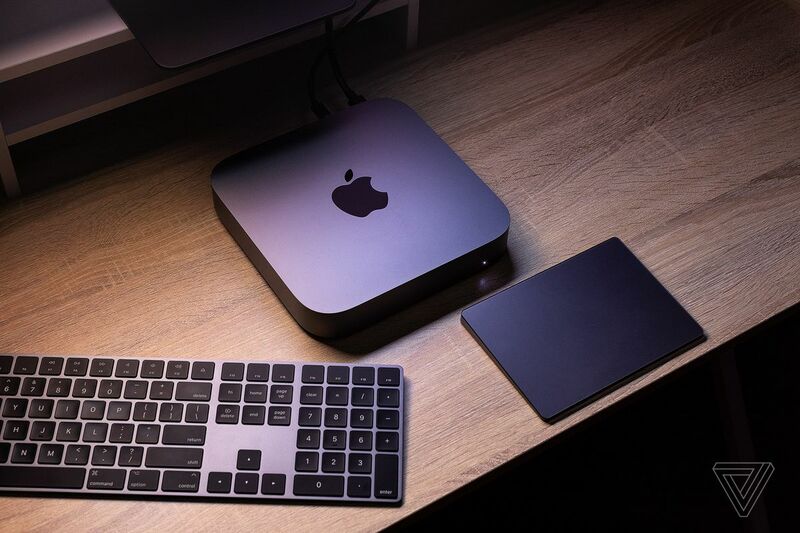 The Mac mini has historically been the budget option Mac for consumers who lived in Apple’s ecosystem, but liked the aesthetics of mini PCs, as well as the benefits of a full mouse, keyboard, and monitor setup. You could of course just buy an iMac, or a display stand for a MacBook Air or Pro. But the Mac mini was simple, it was cheap, and it did its job well. So well, in fact, that it took on a second life for many owners as a home media PC, a NAS server, and even as part of a compute cluster. So the important questions now are whether the new Mac mini justifies its higher price, and even in the event it does, whether it offers enough value for the right kind of consumer to still be considered a viable budget option. After all, costing pretty much the same amount of money as a Mac laptop, with its built-in display and keyboard, is a much different value proposition than a Mac that used to cost half as much as the next most expensive Apple computer. The most obvious judgement you can make about the new Mac mini is that Apple has smartly retained the design in its entirety. The company didn’t reinvent the wheel in an effort to sell you a space-age-looking computer. It’s the same old Mac mini, in the familiar frame, but with a new and attractive space gray finish. It is essentially the same weight — it’s put on a couple of ounces — with the same dimensions as the 2014 model. On the back, you have an all-new port layout: four Thunderbolt 3 USB-C ports, two USB 3.0 ports, and one HDMI 2.0 port. You also get a 3.5mm headphone jack and an Ethernet jack. For configurations, you have two options: the not-so-powerful i3 version costing $799, or the decently powerful i5 version starting at $1,099. Choosing between the two, or shelling out for the optional i7, is the hardest and priciest choice you’re going to have to make because you will not be able to upgrade that component whatsoever. The only other difference between the two configurations is that the cheaper model starts at 128GB of flash storage, while the i5 model comes with 256GB. There are some ways to help make this choice easier. If you know you’re not going to need a large amount of storage — in other words, you’re not editing video on this thing or using it as a media server — you can spring for the $799 base model and spend that extra cash on an upgrade to an i7. That’s a smart move in my book, and it will give the device more speed and mileage in the long run. You can of course pay to upgrade both the RAM and the SSD in small chunks, up to 64GB of memory and 2TB of storage. Both upgrades will cost you heavily, with only the RAM being really worth springing for now rather than later, because of how finicky Macs can be when using aftermarket memory. Storage constraints, on the other hand, can always be better managed with external drives. I’m currently writing this review on the i7 model, with 32GB of RAM and 1TB of storage, and almost everything about this $2,499 machine feels like overkill. It is dead quiet during the most intensive of tasks, like editing 4K video while concurrently running memory-hogging applications like Chrome, Slack, TweetDeck, and my preferred web Gmail wrapper Wavebox. And it’s been lightning fast in every other regard, choking up only when exporting a 4K file in Adobe Premiere Pro while keeping quite a few other apps open and running simultaneously. And even then, it became only a bit sluggish, and I never experienced a single app crash or even a pinwheel. Plus, because the new Mac mini has Apple’s T2 security chip, which also acts as a co-processor, the computer gets a huge boost in SSD performance for reading / writing of files and in the event you’re compiling code. If you want Turbo Boost or hyperthreading, you’re going to need to shell out for the i5 processor or the i7, respectively. Having not tested the base i3 model, I can’t definitively say whether all that extra juice is absolutely necessary to replicate what this machine does best, which I believe is still mid-tier Mac performance in an affordable desktop package. But not having experienced a single hiccup outside 4K video exporting is undeniably a result of the monstrous amount of CPU and memory I’ve been using on my test machine. With regard to ports, I can’t say enough for how pleasant it is to have a computer properly outfitted with the all necessary ports I use. 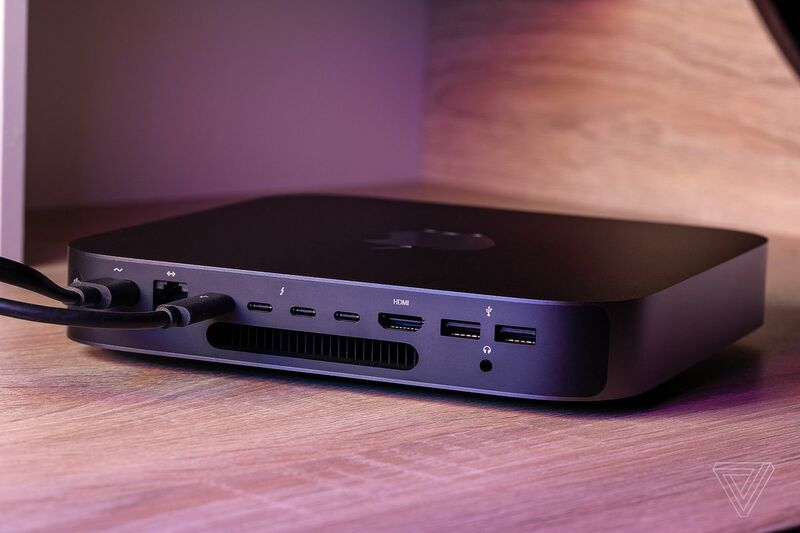 The new Mac mini can power up to three displays, including two ultrawide 4K displays via ThunderBolt 3 and one standard 4K monitor through HDMI, or one 5K display and one standard 4K. Those ports also open up all sorts of possibilities for graphics enclosures, external solid state drives, and so on. But just for day-to-day use, having two USB 3.0 and four USB-C ports means you’ll never need the same cumbersome dongle adapter you’d require if you were simply docking a MacBook Air or Pro to a standalone monitor. And sure, this computer is a very powerful little machine if you want to run all the numbers, and those willing to push it to its limits as a proper iMac replacement will certainly be pleased with the performance. Also, the new Mac mini is now currently the only desktop Mac, besides the 5K iMac, that can output to an external 5K monitor using just a single cable. So if you’re in the market for one of those and have your preferred peripherals ready to go, there is no real reason to shell out for an iMac over this new Mac mini unless you really want an all-in-one machine, or you’re especially concerned about needing the extra graphics performance. But the power of the Mac mini is secondary to the bigger-picture questions: who is this thing for at this point, and how much value can you get out of it over a comparable MacBook or iMac without spending thousands of dollars on upgrades? For most people, the old Mac mini became a cost-effective way to use macOS without feeling forced into a pricey iMac or MacBook Pro, and it was especially attractive for the class of worker whose office computer tended to be a MacBook Air. The Mac mini let you keep iMessage on your desktop, while providing just enough power and versatility to perform light video and photo editing and manage home files and media, all while providing a clean and uncluttered place to work and browse the web. You could keep all your Mac apps synced in the cloud, which allows you to move from a laptop to a home desktop with ease. 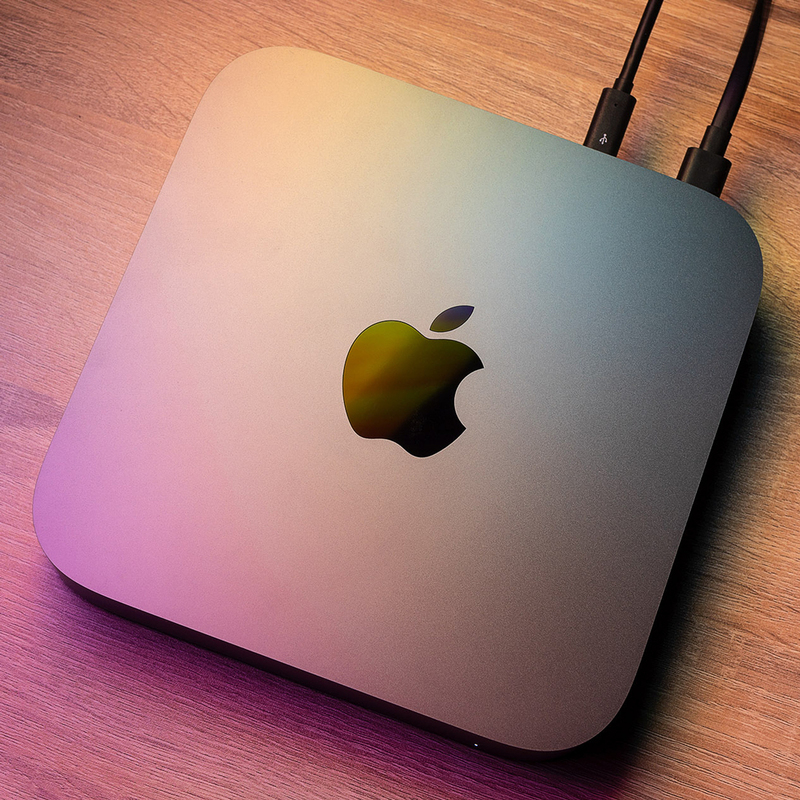 The 2014 Mac mini was, and arguably still is, a great companion desktop for those on a budget. The 2018 Mac mini does all of that and more. Those looking to upgrade from the 2014 model will be plenty pleased with how much more superior this device is. Although there is one big caveat: I personally would probably find myself on the fence upgrading my own machine if not for already owning the necessary peripherals to unbox the machine, plug in, and be ready to go in minutes. If you need to outfit an entire workstation, you’re looking at anywhere from $50 to $250 for a mouse and keyboard, depending on the quality, and then another few hundred dollars at minimum for a monitor. Add that all up and it becomes a $1,200 to $1,500 purchase with just the base model, and that’s on the low end. If you’re going to pair this thing with a 4K or 5K monitor, let alone more than one, then you’re pushing well into the multi-thousand dollar range. Add to that an additional $300 for the faster processor and $200 for each RAM and SSD upgrade. At that point, it’s fair to look at the iMac as a better, more hassle-free deal. It’s also not exactly a do-everything machine for professionals. The Mac mini’s versatility depends on your needs. If you’re someone who does more intensive GPU-specific work, like video editing, you may want to shell out for a more outfitted MacBook Pro or an iMac. 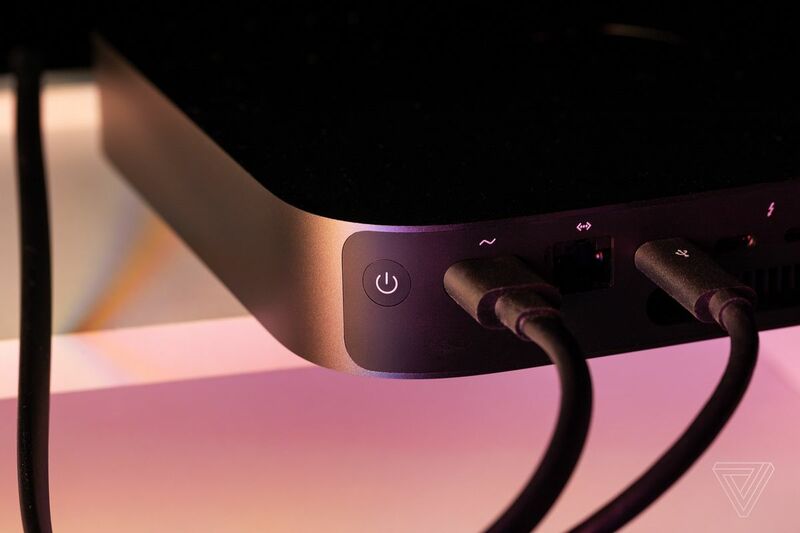 The Mac mini’s GPU is lacking, due to its small frame requiring an Intel-made CPU-GPU pair. (It’s a shame Apple didn’t go with AMD’s integrated Vega M graphics, the same in Intel’s NUC 8, when it easily could have achieved near full-size GPU performance with it.) That said, an eGPU setup is a possible solution to that issue. Apple support on that front is better than ever, while the Mac mini’s small frame frees up some space on your desk for a proper graphics enclosure. Putting aside the more niche graphics concerns, the bigger question mark looming over the new Mac mini is whether it can still serve the needs of budget Mac users while also fulfilling Apple’s desired vision of it as a professional-grade “workhorse,” as it’s marketed on the company’s website. The answer is a definitive no, it would seem. It’s safe to say this computer is no longer “budget” by any reasonable definition of the word. It’s only a “budget” Apple product because it starts out a few hundred dollars less than the company’s flagship iPhone, and because it’s the only Mac you can buy brand-new that carries a three-digit price tag. Once upon a time, the Mac mini was a way to get Apple’s desktop software on the cheap, if you only cared really about browsing the web, managing files and media, and enjoying the cross-platform benefits of using macOS and iOS. The new Mac mini demands you treat it like a proper computer, with a price to match, and that will understandably push some percentage of old mini owners toward settling for a Chromebook or simply an iPad for most at-home computing needs. That doesn’t mean you shouldn’t buy this machine, especially if you really do want a clean and uncluttered home workstation with a full mouse and keyboard setup. 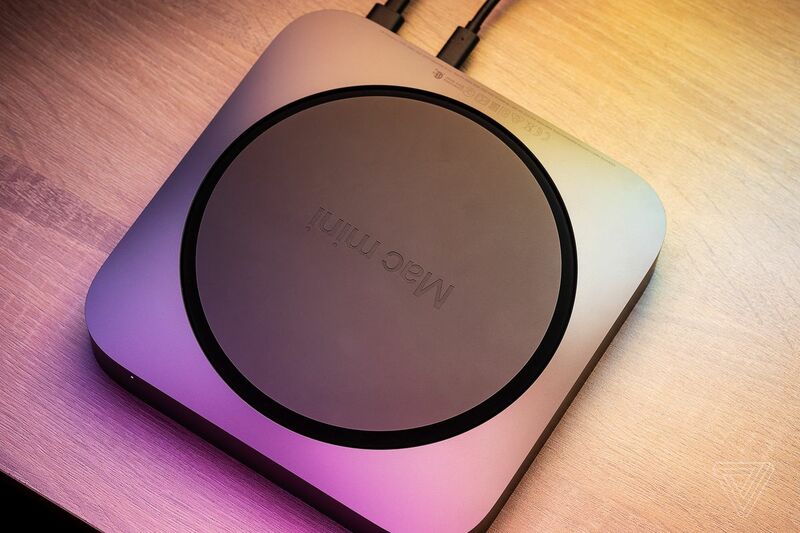 This device is powerful, compact, and everything a power user would want the Mac mini to be. Plus, it gives you the freedom to buy the peripherals you want at the price you’re comfortable with, so long as you’re okay starting at that $799 base price and shelling out for more speed, memory, and storage. For a certain type of Mac user, myself included, the new Mac mini strikes a solid balance. But it’s no longer the budget machine so many fell in love with. Tech Support Scams Using Multiple Obfuscation Methods to Bypass Detection and Steal Your Money!